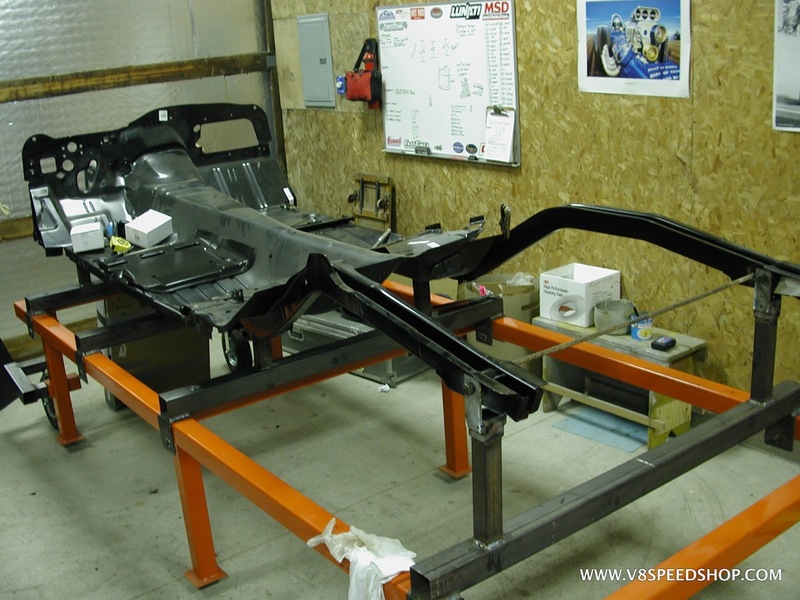 I like the body jig that was being used on the Buick body that was metal repaired at V8. I would like to do a copy of that one for my Buick. I would like to see more photos and info. What is everyone else using as a jog for their vehicles. 70staged wrote: I like the body jig that was being used on the Buick body that was metal repaired at V8. I would like to do a copy of that one for my Buick. I would like to see more photos and info. Thanks, we built that one and several more like it. I'll see if I can find more pics. After paint and measuring center. 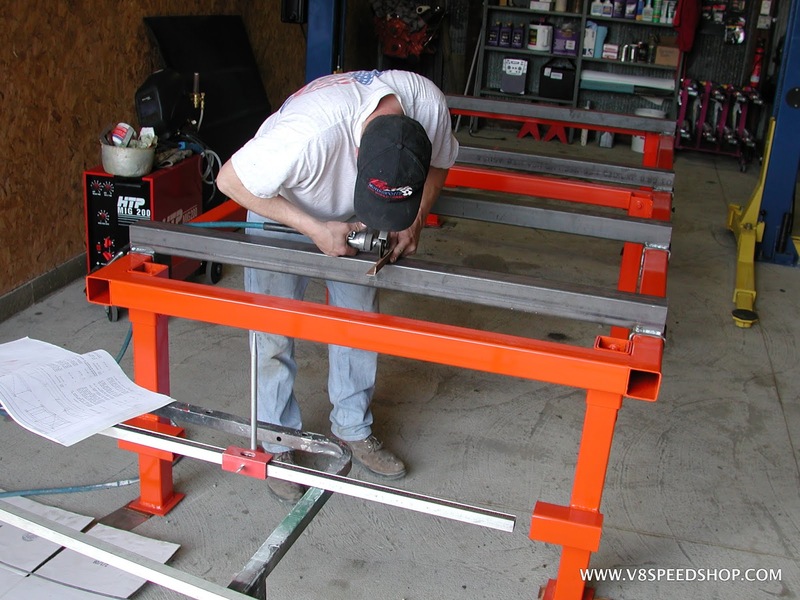 Lower pieces allow for installation of a cross bar to move it with a jack. Frame stand leg, this one made for a 1st gen Camaro. Everything checked and squared with a laser guide. Camaro rails and floor attached. We used the GM crash data sheets to determine the length of the frame stand legs. thanks that was helpful. Do you know where I can find the GM crash data sheets? Or where to purchase? Last Edit: 27 Sep 2017 10:10 by oestek.